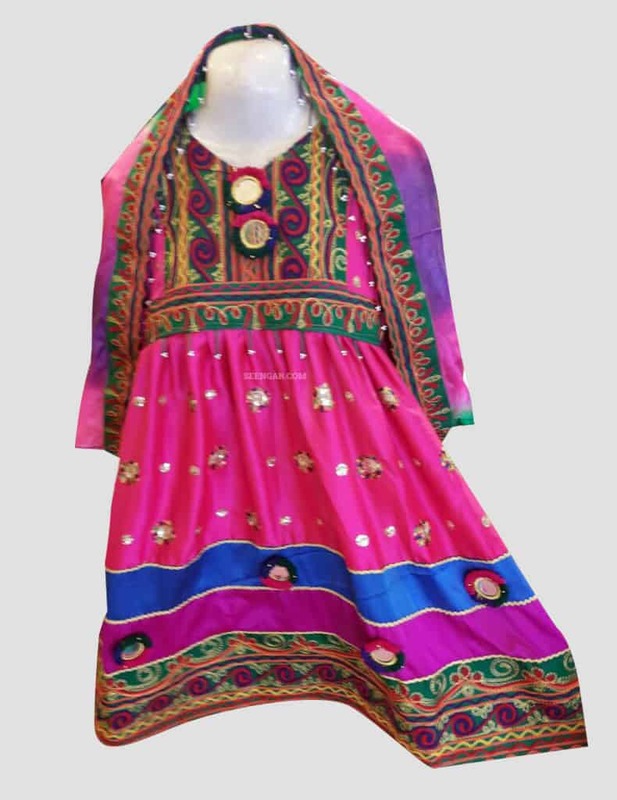 Zarina is our special Afghan Dress for kids having colorfull design with mirror. 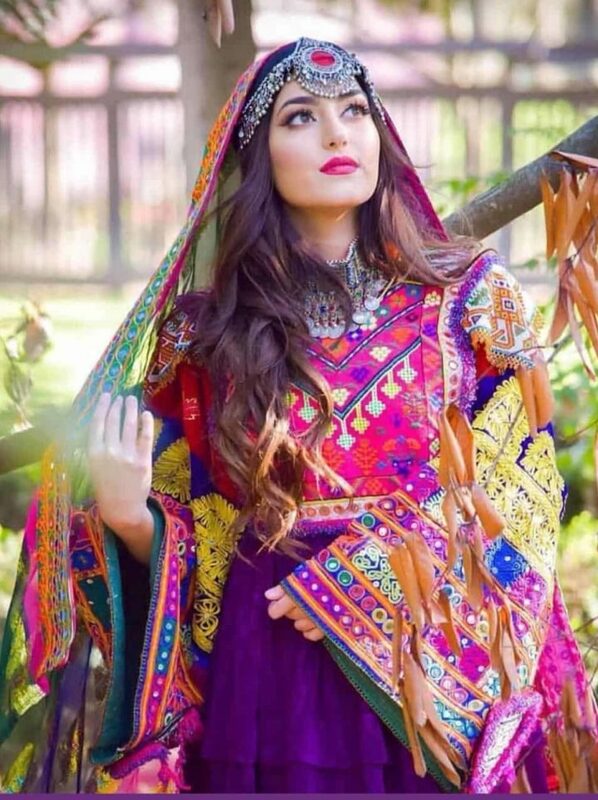 The dress features 4 layers of colorful embroidery on the edges. 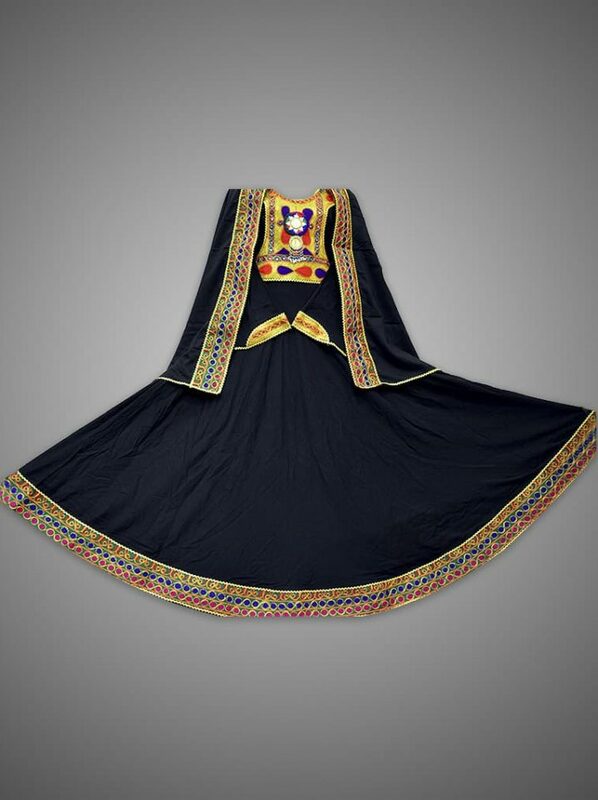 The top contains 2 mirrors with floral embroidery while the edges has random mirrors. 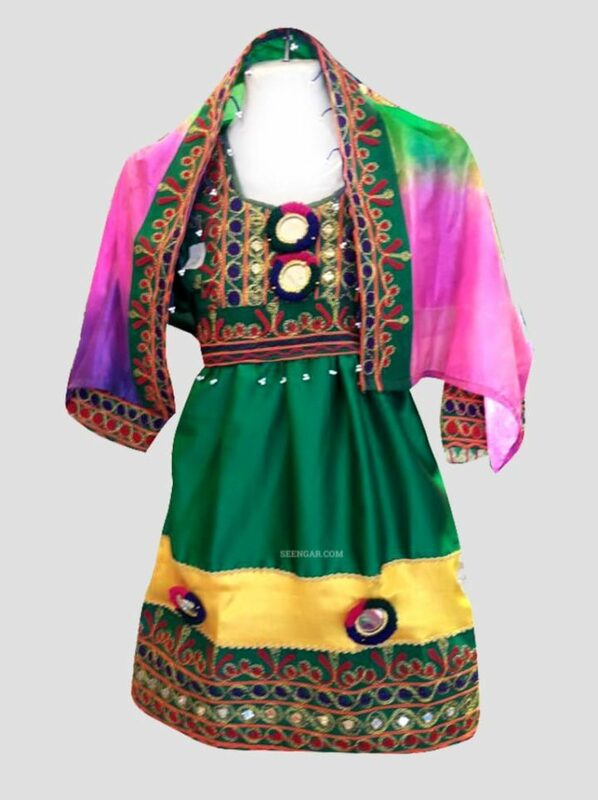 It comes with Dupatta and very appropriate for Eid, Nikah or Mehndi. Don’t ignore him you can buy Afghan Traditional Pakol for your soulmate 😉 Pa Khudy!